With Hezbollah missiles flying into northern Israel and Israeli commandoes leaping off helicopters at 3 am to make a raid on a regional Hezbollah headquarters, what is really going on? Why would Israel pay lip service to the idea of a cease fire yet want to wait two more weeks to get more fighting done? What can be accomplished by more of the same for two weeks? Or is another major offensive in the works, with Israeli forces planning on striking deep into Lebanon to flatten the Hezbollah command structure? And what are the interests of the U.S. in all this? Perhaps the question in the case of the latest Mideast flap is this ~ is this just more of the same unsolvable ancient beef going back for thousands of years? Or is something disturbingly different about this mini-war? What seems new is the ability of ground fighters of Hezbollah to strike at targets deep inside Israel from rocket launchers that are not easily attacked. Since 2001, Syria apparently cooperated with Iran in the supply of massive amounts of missiles to Hezbollah for the purpose of attacking Israel. In 2002 Hezbollah Secretary-General Hassan Nasrallah said "[If] Hezbollah's missiles can now reach all population centers in Israel, then where can they flee?" The motive for Hezbollah to continue the war for another few weeks is so that they can prove to Israel and the world that no amount of air strikes or commando raids can stop them from reaching out at will with tactical missiles and killing civilian Israelis. The benefit of this to Hezbollah is that it amounts to a campaign of terror upon every Israeli citizen. While the weapons’ range doesn’t yet allow them to reach Tel Aviv, and their targeting seems haphazard, the message is clear: the next conflict might feature missiles that could be even longer range with better targeting capabilities. With missiles like those, a small combat organization like Hezbollah can inflict as much psychological damage as an air force could. Only a week ago the high energy laser anti-missile defense system earmarked for Israel was canceled as being unreliable and easily defeated by multiple salvos of missiles. The fact that hundreds of millions were spent on such a device is testimony to the fear Israel fears from these weapons and the lengths they are willing to go to defeat them. If the war continues as it has and comes to a cease fire, Hezbollah wins. They have proved that they can strike deeper into Israel than ever before and take out civilians without any conclusive answer from the Israeli government. The result is that Israel is now far less secure than it was just months ago. Although it is possible that the Hezbollah quasi-victory might not last. Israel will be unwilling to leave the world thinking how vulnerable they are to a missile strike. The missiles and the muscle for Hezbollah come from Tehran. Iran and Hezbollah are joined at the hip, so by launching air strikes on Hezbollah strongholds, Israel fights a proxy war against Iran. Of course, if Iran is providing Hezbollah with the means to fight, so too is America providing Israel with its battlefield muscle. In essence, while the U.S. stands by and “allows” Israel to continue the fighting, the U.S. fights the proxy war against Iran. So the question becomes, are the American people satisfied with “losing” this Hezbollah-Israeli war? There is more bad news for Israel, because Hezbollah missiles could soon have the ability to toss not just high explosives over the Lebanon-Israel border, but fissile material. What would happen if Hezbollah had nukes? Is that a reasonable question or hysteria? Let’s review. Iranian-made missiles are exported to Hezbollah in Lebanon for the purpose of killing Israelis. Hezbollah fighters launch them into Israel causing all hell to break loose. Hezbollah and Iran are beyond allies, they are practically the same organization. And Iran is working on development of nuclear weapons, and the program is so important to them that they are willing to withstand U.N. sanctions to keep the program alive. Is it too much to expect that the next time Hezbollah gears up for a major offensive against Israel, that one or more of the missiles being thrown at our friends in Tel Aviv could contain a nuclear warhead? Unfortunately, after Iraq, it will be tough to sell the concept to the American voters of U.S.-sponsored regime change or an attack by U.S. forces for the purpose of stopping an evil nation building weapons of mass destruction. But then think about this ~ Pearl Harbor gave Washington the blank check it needed to jump into World War II when the population had been pacifists. The horrors of 9/11 enabled President Bush to commence a global war against terrorism and to invade Afghanistan and Iraq. In the same way, a tactical nuclear weapon lobbed into Israeli territory by Iranian-sponsored terrorists could give the U.S. all the authority it needs to launch a full-out assault on Tehran. And as usual, let’s not forget that in dealing with global politics and war in the Middle East, we need to check in with our friends in the oil industry to see what they want us to do, because there is a near perfect correlation between the action the U.S. takes in the region and what is good for Big Oil. So in our contemplation of our global military strategy, what do the boardrooms of the oil and gas giants think we should do? When it comes to Iran, the oil economic forces would just as soon see the U.S. Army patrolling the streets of Tehran and securing the oil fields. What can keep a military observer staring at the ceiling at three in morning is that for America to take over those Iranian oil fields like we did the Iraqi ones, Washington would need a compelling and visible reason to fly our jet fighters over Iran and drive our tanks toward Tehran. And what better excuse could we have than a Hezbollah nuclear warhead detonating at ground zero in northern Israel? So is there something in it for the U.S. to allow the war to continue for a while? Would we sit back and watch Iran construct and deliver a tactical nuclear missile to Hezbollah? So that the next Israeli soldier kidnapped at the border sparks a conflict with a lot bigger boom than this one, thereby giving Washington carte blanche to dust off the Iranian War Plan? Think of the other benefit of this war and what’s in it for the U.S. government to allow it to go on longer: it takes attention off Quagmire II, the coming Iraqi civil war and the devil’s choice between massive American casualties in Baghdad or withdrawing from Iraq without honor. Or maybe Tel Aviv and Washington are simply waiting for the Hezbollah missile stockpiles to run dry. When their six-shooter starts clicking impotently, how eager will Hezbollah be to keep fighting? The one thing that could stop the madness contemplated above is a well-planned and expertly executed raid on Iran’s nuclear weapons program. That could take the form of a massive U.S. air assault or perhaps a covert operation by CIA and joint special forces units to take out the capability of Tehran to construct nuclear weapons. Thinking a few chess moves ahead, would this work? If it removes Iran’s ability to fabricate nuclear warheads, it would seem a success. But boxing the ears of Iran’s leadership in public might make for bad policy. In the case of a de-nuked and humiliated Iran, we would do well to remember that the infuriated Iranians would still control the oil. Remember, we can’t even think about credible military strategy without first understanding what the oil companies want, because the interests of the U.S. are so tightly bound to the price of a gallon of gasoline. Therefore, a strike at Iran that is traceable to us, conducted in broad daylight, is simply a bad idea even if it succeeds. Meanwhile, this column will continue to stand watch on this and other potential military action around the globe. As hurricane Helen barrels in toward the Virginia coastline, the U.S. Navy’s Commander-in-Chief Atlantic Fleet orders all vessels to scramble to sea, including Burke Dillinger’s Hampton and Peter Vornado’s Texas. But this is no mere storm evacuation. There is something sinister going on in the eastern Atlantic. The Navy’s eyes are on the ballistic missile submarine force, the “boomer” submarines loaded to the gills with intercontinental nuclear warheads. And the French boomer submarine Le Vigilant has “gone bad,” hijacked by an Algerian terrorist with dreams of completing the circle of revenge and using French nuclear weapons on the French who killed his father. 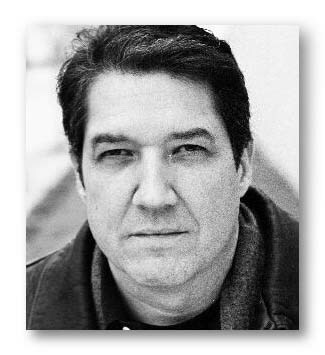 --Joe Buff, author of Straits Of Power, Tidal Rip, Crush Depth, Thunder in the Deep, And Deep Sound Channel. 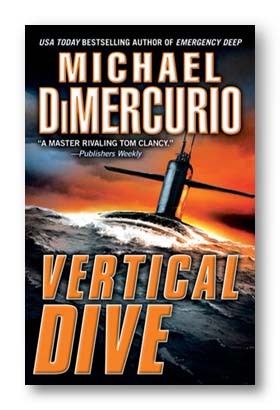 Order VERTICAL DIVE At Amazon.Com! Order VERTICAL DIVE At Amazon U.K.!